Leading Manufacturer of oil fired boiler, oil fired coil type non ibr boiler, oil/gas fired boiler-water tube design and oil & gas fired boiler from Ahmedabad. We are an eminent name, which is engaged in dispatching Oil/Gas Fired Boiler. The offered range possesses a capacity of 500 kg/hr to 21 kg/cm2 and utilizes LDO/furnace oil/natural gas producers gas. Offered range is available with packaged, three-pass smoke tube and fully wet back boiler. Available in SML for burning light oils & gas and SMH for burning heavy oils, the offered range is best suited for burning waste gases like biogas from decomposition of organic matter in distilleries. In addition to this, offered range is extensively applicable for its capacity to burn corex gas from the steel manufacturing process and liquid fuels. We also cater the export orders from major countries like Bangladesh, Kenya, Srilanka, South Africa, Nigeria, Iran, Saudi Arabia, UAE, Kuwait, Iraq, Philippines, USA, UK, Ghana, Germany, Canada and many more other countries. Our offered Oil Fired Coil Type Non IBR Boiler that is created with use of industry grade components and advanced technology under the guidance of our experienced engineers. This provides increased combustion efficiency and allows high rate of heat flux and increases the efficiency of whole system. 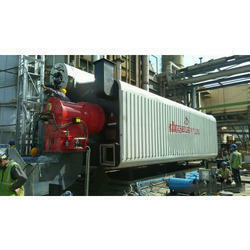 The boiler also comprises of an atmospheric economizer to preheat the incoming feed water to boiler. 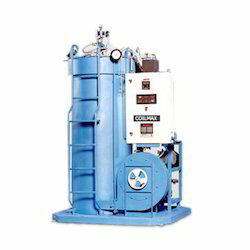 Moreover, is a fully automatic boiler there is no need of specially trained boiler attendant during operation. Tube Design: Our offered Oil/Gas Fired Boiler-Water Tube Design that offers elevated furnace oil and gas firing that is supplied by steam pressures. Furthermore, this is compact and finned tube economizers for increased boiler efficiency and comes with large furnace areas that provide complete combustions and emissions within the limits for enhanced life of the unit. This can be availed at leading market rates after it is tried and tested before it is made for customers use by our engineers to endure compliance. 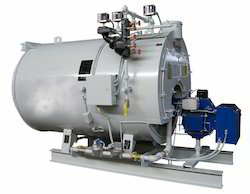 Our offered Oil and Gas Fired Boiler that is compatible with most imported oil, gas, and duel fuel fired burners and elevated radiation as well as convection heat transfer areas. Furthermore, this provides atmospheric pressurized water preheating for greater efficiency and is safer due to corrugated bowling hoops and plane stiffened. This can be availed at leading market rates after it is tried and tested before it is made for customers use by our engineers to endure compliance.